The evolution of service-oriented architecture has given birth to the promising cloud technology, which enables the outsourcing of existing hardware and software information technology (IT) infrastructure via the Internet. Since the cloud offers services to a variety of organizations under the same umbrella, it raises security issues including unauthorized access to resources and misuse of data stored in third-party platform. The fact that the cloud supports multiple tenants is the cause for the biggest concern among organizations: how to prevent malicious users from accessing and manipulating data they have no right to access. In this regard, various access control techniques have been proposed, which concentrate on certain authorization issues like the ease of privilege assignment or the resolution of policy conflicts, while ignoring other important weaknesses such as the lack of interoperability and management issues which arise in the dynamic cloud environment. To cover all these challenges, access control as a service (ACaaS), which stems from its significantly more popular parent, security as a service (SECaaS), is considered a viable solution for mediating cloud service consumers’ access to sensitive data. 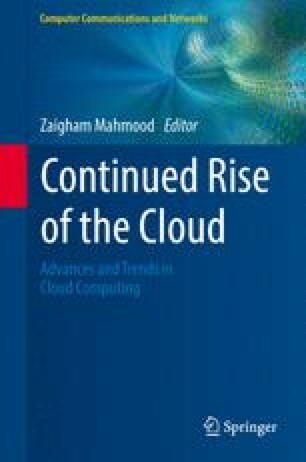 In this chapter, we assist the cloud community in understanding the various issues associated with providing authorization services in the cloud that may be technical, such as privilege escalation and separation of duties, or managerial, such as the steep requirement of time and money for this purpose. ACaaS is the comprehensive solution to some of the issues highlighted previously. We have also discussed the significance and impact of ACaaS, along with the strategies reported in the literature for providing a secure access to the applications hosted on the cloud. We then holistically cover the authorization requirements of the cloud environment, specifically for software as a service (SaaS) model, evaluating the extant relevant solutions based on certain defined factors from the National Institute of Standards and Technology (NIST)-. The outcome of our research is that an ideal ACaaS should be extensive and holistic, which encompasses all the requisite security and managerial features and provides an efficient and reliable access control mechanism to the cloud consumers that complies with international standards. Axiomatics Cloud scenarios. https://www.axiomatics.com/cloud-scenarios.html. Accessed May 2013. Dell software (2013) Access manager. www.quest.com/access-manager/. Accessed June 2013. The Identity security company (2013) The 4 A’s of cloud identity. https://www.pingidentity.com/resource-center/authentication-authorization-audit-logging-account-management.cfm. Accessed June 2013.